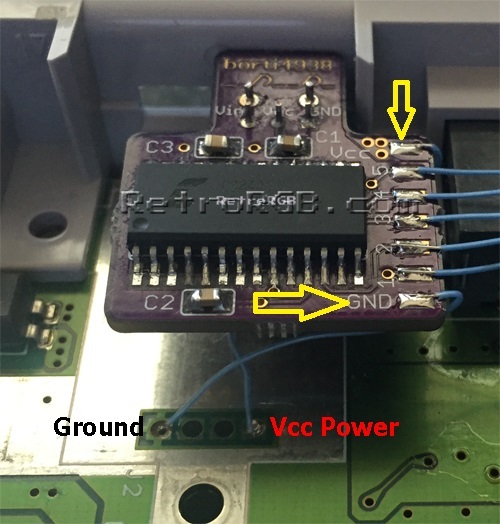 This page shows installation instructions for the SNES digital audio mod on an older SNES system with the separate audio board. 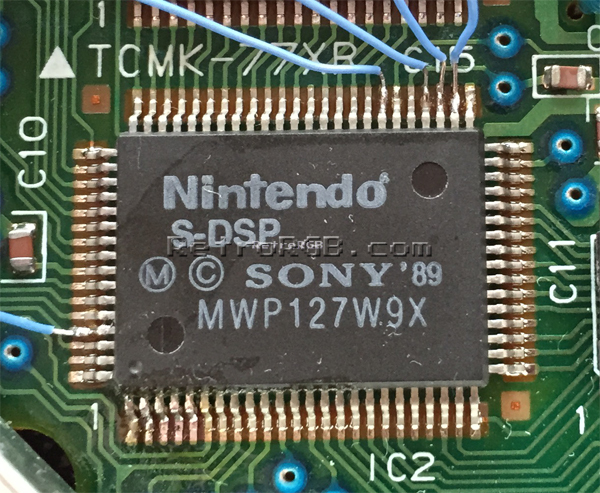 Unfortunately, I couldn’t find any via’s on the separate audio board, so this installation requires soldering directly to the S-DSP chip. 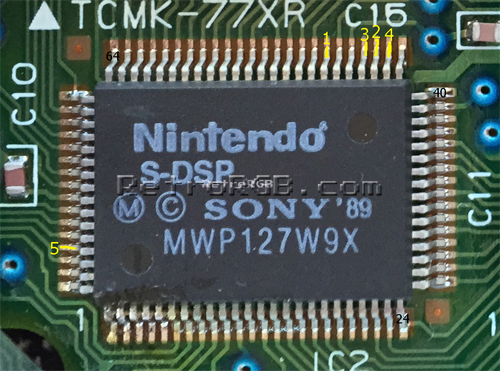 These are tiny pins to solder to and unless you have experience soldering small SMD components, I suggest you have a professional perform the mod for you. Other then that, as far as I know, there are no other game compatibility problems, but PLEASE NOTE: This digital audio mod is not compatible with many stereo receivers. I’ve been lucky and have had great success, however many other people have problems with their setups. 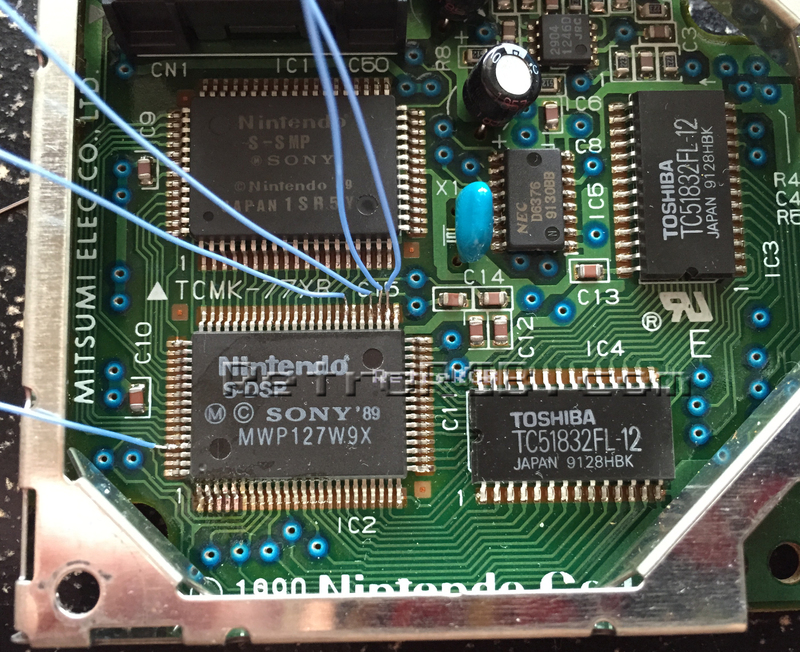 Also, your model SNES might look slightly different, but the basic idea and solder points are the same. 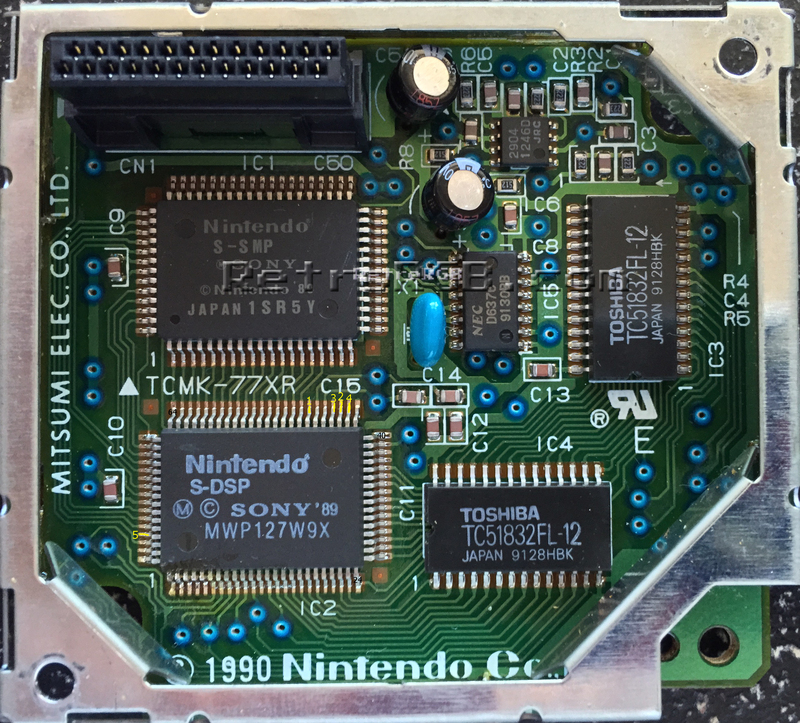 If your systems looks much different, I suggest stopping the installation and sending me pics of your SNES, as I may be able to help. Next, use an x-acto knife or sharp blade to cut the RF hole into a square. Do not cut the hole any higher then it already is; Cut down and to the sides. 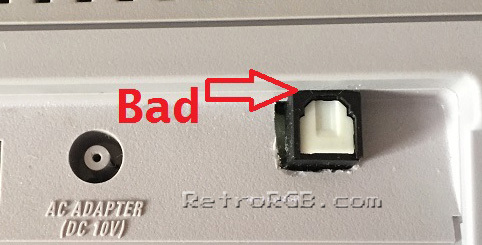 If you make the hole too high like this, you won’t be able to fit the optical audio cable. Also, you’ll want to make it snug; just big enough for the SPDIF connector to fit through (I find using a file helps for those last little adjustments). 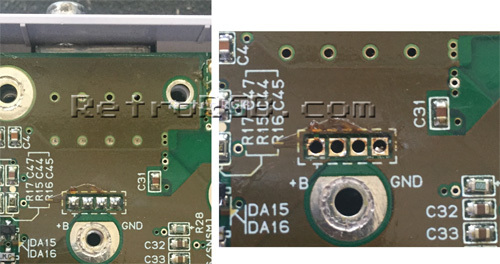 Make sure to mount the board with the chip & solder pads facing up! 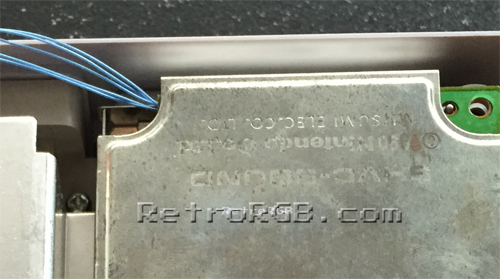 After it fits, use super glue or epoxy around the inside edges of the digital audio connector to secure it in place. Now you can re-assemble the heatsink and install the motherboard back into the case. 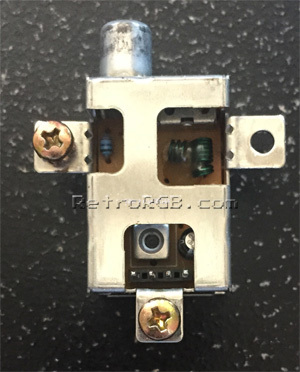 Since the RF module is no longer attached, there will be two extra screws after re-assembling. That’s it! Once again, please remember that this audio mod will not work with all stereo receivers, so if you have problems with your system, make sure to troubleshoot the receiver, as well as the system.